Organic Yellow Shea Butter for sale. Yellow Shea Butter for sale in Canada. Yellow Shea Butter has amazing healing properties used for over 5000 years. Its pure and natural and whipped to give you a soft and creamy texture. Use on the entire body and skin to moisturize and protect your skin. Apply as often as need and gently massage into the skin. Can be used in the summer and winter months for natural protection from the wind and cold. Use on cuts and insect bites to help sooth and comfort the skin back to its natural balance. I've been an avid user of 100% shea butter for a few years now. Every time I run out, I have to purchase from this specific brand because it has the smooth and creamy consistency that I like. I've used this throughout my whole pregnancy for my growing belly and thighs. Its the only product that I found that truly left my skin feeling silky and moisturized. Its also perfect just as a daily moisturizer for my body and face. It will leave you glowing. I now use it everyday on my 5 month old to avoid baby eczema. This shea butter is creamy and smooth. I use it on my feet, ankles, and elbows, as well as for the ends of my hair. 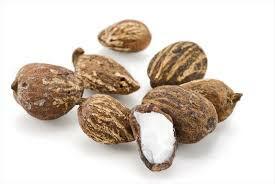 Shea butter works wonders to define natural hair; however because it is so thick it is not well suited to thinner hair or softer curl patterns such as waves. Its best applied after bathing or at night where it has time to penetrate into skin without leaving you feeling greasy. I recommend whipping this butter with coconut or jojoba oil for a fluffy, air texture is you do not like heavy oils. Click the button below to add the Whipped Yellow Shea Butter to your wish list.